Curtains up for a new power trio: bass player MASSIMO PUPILLO (ZU, LANIAKEA), drummer ALEXANDRE BABEL (SUDDEN INFANT) and CASPAR BRÖTZMANN on guitar. 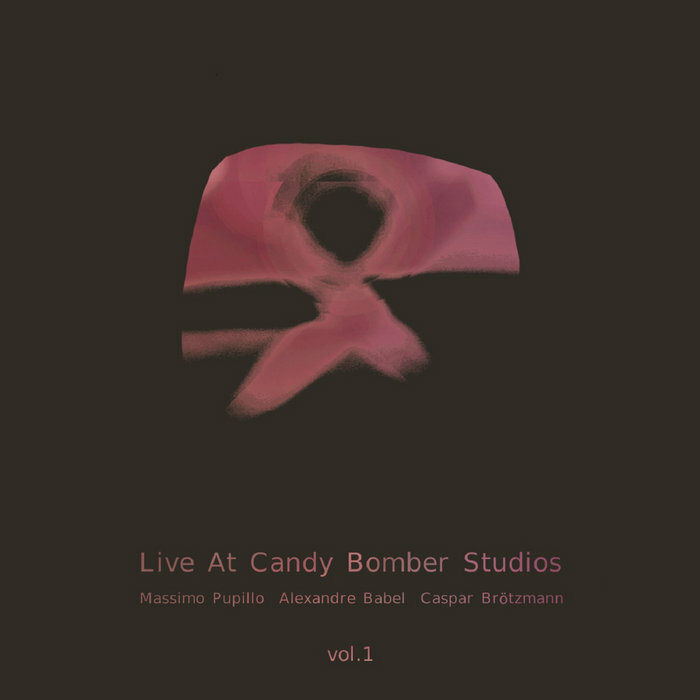 As the title “Live At The Candy Bomber Studios, Vol.1” indicates, this album is the first cut from an inspired recording meeting. Raw energy, full focus and three instrumentalists at the peak of their skills who blend noise rock, drone and improvisation into 2 relentless epic pieces. The line-up consists of MASSIMO PUPILLO, bass player in ZU, LANIAKEA and countless other constellations and drummer ALEXANDRE BABEL who is a prolific player in the experimental / contemporary field (artistic director of Swiss percussion group EKLEKTO, member of KAMMERENSEMBLE NEUE MUSIK BERLIN, soloist and has performed a.o. with OTOMO YOSHIHIDE and KEIJI HAINO) and a steady member of the noise band SUDDEN INFANT. And last but not least there’s CASPAR BRÖTZMANN on guitar who gained high reputation as one of the most radical guitarists around, admired by acclaimed artists like THURSTON MOORE („probably one of the best guitarists I’ve ever met!”) and STEPHEN O’MALLEY. A powerful unit, recorded live in the studio by INGO KRAUSS who had already worked with BRÖTZMANN on the CASPAR BRÖTZMANN MASSAKER albums “Der Abend Der Schwarzen Folklore” and “Koksofen”.